Abstract: Documentation of wild plants retains traditional knowledge. In this intention, the survey of lactiferous plants was recorded. The present work highlights the diversity of latex bearing plants of Maruthamalai Hills (Coimbatore) the southern Western Ghats. Latex is a milky extrude with complex chemical substances associated with different composition. Lactiferous plants can replace the need of non-conventional resource and having various medicinal compounds. In such a way, totally 54 species were surveyed, collected, identified and categorized into different families. Most numbers of species were recorded in the family of Apocynaceae (21 species) followed by Euphorbiaceous (15), Moraceae (8), Asclepiadaceous (3), Aristolochiaceae (2), and rest of the family possess one species each. The plants were also classified based on their habit, latex bearing part, color of the latex as well as their economic utility.Keywords: Latex bearing plants, distribution, Maruthamalai Hills, southern Western Ghats, economic utilityCite this Article Amala Divya. S, Thamarai Kani.V, Vijaya Lakshmi. et al. A Report on Some Lactiferous Species of Maruthamalai Hills of the Southern Western Ghats of Coimbatore District, India. 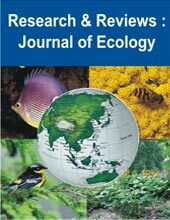 Research & Reviews: Journal of Ecology. 2018; 7(1): 1–7p.